The Science of Ripley’s Believe It or Not, The latest exhibit at The Discovery Science Center is set to open on October 5, 2013. This family-friendly exhibit will feature various objects and wonders of Ripley’s famous collection. Visitors will be able to crawl through a giant life-size model snake, Titanoboa, experiment with optical and auditory illusions, or marvel at sculptures so small they can fit on the head of a needle! Please continue on for full details on what you can expect to find in this exhibit at the Discovery Cube in Santa Ana, California! SANTA ANA, Calif. (Sept. 17, 2013) – The only thing more fascinating than Robert Ripley’s legendary collection of oddities, anomalies, and fantastic feats is the science behind them! The Science of Ripley’s Believe It or Not® is set to open to the public at Discovery Science Center (DSC) on October 5, 2013. This family-friendly exhibit will intrigue guests of all ages as they learn the science that makes the impossible, possible. The Science of Ripley’s Believe It or Not will showcase various objects and wonders of Ripley’s famous collection. Visitors can crawl through a giant life-size model snake, Titanoboa, experiment with optical and auditory illusions, or marvel at sculptures so small they can fit on the head of a needle! This hands-on exhibit offers experiments, challenges, computer interactive and multimedia experiences that allow visitors of all ages to experience the extraordinary findings of Ripley while discovering their own passion for exploration. Visitors of varying interests are sure to find something curious to see as they explore through the pieces that comprise the many findings of Robert Ripley. Measure up against Robert Wadlow, the world’s tallest man, who grew to 8 feet 11 inches tall! See a calf with two faces, a megalodon shark jaw, a Rolls Royce made of matchsticks, and a portrait of Einstein made of toast. Experience some of the world’s most perplexing optical illusions, investigate incredible examples of body modification and celebrate the life and legacy of Robert Ripley, the explorer and adventurer! Don’t miss your chance to explore The Science of Ripley’s Believe It or Not! and get the facts on the truly unbelievable! Doors open to the public through January 5th. The Science of Ripley’s Believe It or Not is included in general admission to Discovery Science Center. Tickets can be purchased at the science center or online at www.discoverycube.org . Prices are as follows: adult ($15.95), senior ($12.95), and children 3-14 ($12.95). 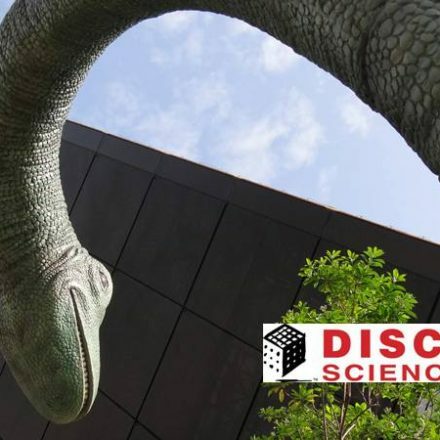 Discovery Science Center is open daily from 10 a.m. to 5 p.m.
For 25 years, Discovery Science Center (DSC) has been a non-profit organization dedicated to educating young minds, assisting educators teach science and increasing public understanding of science, technology, engineering and math through interactive exhibits and programs. With one of the largest education outreach programs in the county and an unparalleled approach at creating immersive, game-based exhibits, DSC is revolutionizing how educational content is delivered. Throughout the year, guests can take the Eco Challenge and become a green superhero or feel the power of a simulated rocket engine launch. Traveling exhibits and annual events such as Spooky Science and Bubblefest throughout the year ensure that there is always something new to discover. In 2012, DSC was named one of the ten “Most Trusted Brands” in Orange County and in 2013 was awarded the National Medal of Service from the Institute of Museum and Library Services. 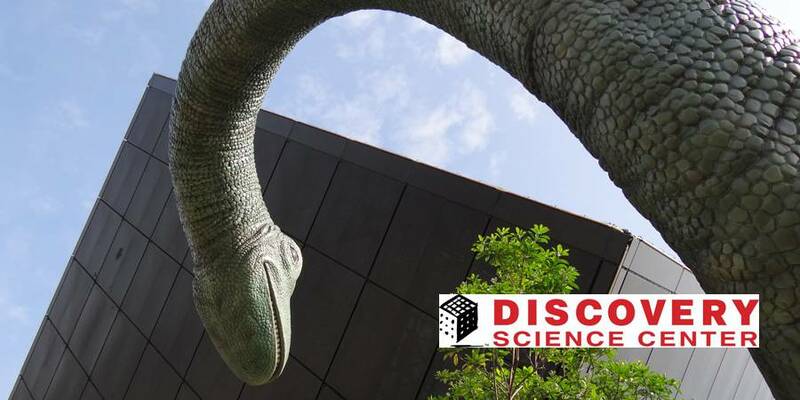 DSC owns and operates the Taco Bell Discovery Science Center based in Santa Ana, California and will be opening a second facility in Los Angeles in 2014. For more information, call (714) 542-CUBE or visit www.discoverycube.org. The Science of Ripley’s Believe It or Not! is a production of Science North, Sudbury, Ontario, Canada and Ripley Entertainment Inc. Ripley’s Believe It or Not!® and Believe It or Not!® are registered trademarks of Ripley Entertainment Inc.